This entry was posted in Laser designator, LRASM, Torpedoes, Weapons by Chuck Hill. Bookmark the permalink. 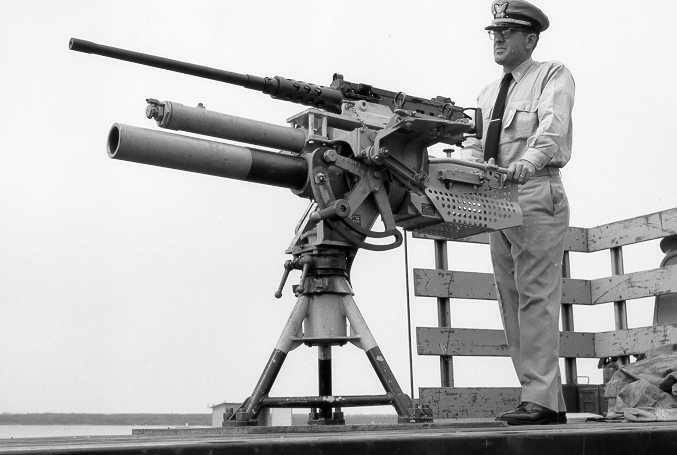 Having actually fired one of the old 81mm in Vietnam, I do believe this is a good sized weapon for cutters from RB-M on up. The ammo is easy to handle and stow. Modern FCS system like a laser designator may be needed for the newer ACERN rounds but that would also help other crew served weapons like the MK 38s. The cost factor would be mitigated by fewer rounds being needed on each cutter?? The “best solution id probably the 5” rocket (Zuni or RAM) fitted with an APAKs guidance package. The 35-40lbs of HE-frag leaves no question of terminal effects, compatibility with RAM or SeaRam launchers (which should be put on all USCG vessels), existing logistics and training infrastructure, and reasonable cost make this a no brainer. News on “PERM” 120 mm guided projectile program.